Eesh. Well, I certainly did not mean to take almost an entire month off from blogging. A lack of time (finals week plus some ill-timed work travel just about finished me off) has made it difficult to sit down at the computer for anything but work, and all of a sudden three and a half weeks has slipped by like nothing. I hate when that happens. Yep, I have just finished knitting a Bohus sweater. With practically laceweight yarn, size 0 and 1 needles, colorwork, plus the fact that the yarn was handspun and dyed in the motherland of my ancestors, this may be my biggest and most meaningful knitting feat to date. And I did, so I have. I'll end with another bit of Swedishness. Every year I look forward to pulling out these, my favorite of all Christmas decorations. My mom has set one of these in each window of the house I grew up in for as long as I can remember, and now that I have my own home, I am continuing the tradition. That sweater is breathtaking - what a feat indeed! 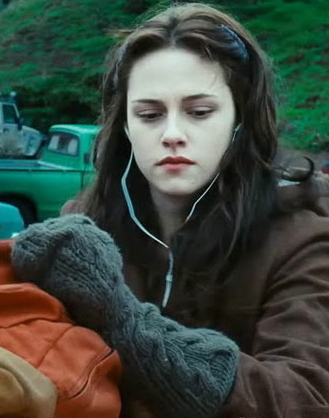 And those mitts...I'm rather embarrased to admit I am also a Twilight lover - thanks for the tip on the bella pattern! Happy holidays! Your knitting is truly beautiful! The sweater is a piece of art ~ just stunning. Um, err, I'm glad this wasn't a post about 9 1/2 Weeks. The sweater and the mitts are lovely. i can't wait to see more of the sweater, and the mittens look awesome! everything is so beautiful. ilove that sweater, and those mittens! happy holidays! 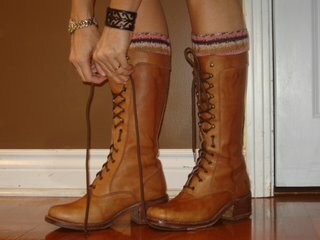 the bohus is gorgeous - sometime take a whole pic on you, I want to see the rest of it! Don't know how you slogged through on those needles... And I love the old Swedish traditional candles - they're lovely. Wow. You must have incredible patience to do a sweater on size 0 and size 1 needles. I too love Twilight. Saw the movie twice. No shame. The sweater is incredible---I hope it was worth any blood, sweat, and tears that were shed! absolutely gorgeous sweater with a very impressive yoke!! and the mittens! ahhh LOVE! Bella's Mittens are also in my "to do" list!!! love them. Wow...that sweater is gorgeous. I don't know if I will ever have the patience to make a sweater on size 0's. There's no shame in loving the Twilight...there is a reason they are such a hit. Widely appealing, even if it isn't the best writing. And I totally want to make those mittens.